Orlando, Florida, February 20, 2018 – (INTUITION) Resort Travel & Xchange; the award-winning vacation ownership exchange company will be expanding its reach even further in 2018 by attending and sponsoring several timeshare and hospitality industry conferences this spring. To kick off 2018, RTX will be attending the GNEX Conference in Miami, Florida, onboard the SeaFair Grand Luxe from February 26-28. Last October, RTX confirmed that it will be a Bronze Sponsor for GNEX which includes visual and verbal recognition throughout the event. The Asheville, North Carolina, based business is also nominated for two Perspective Magazine Awards for Best Customer Service and Best Print Media which will be given out at GNEX. In April, RTX heads to Austin, Texas for the 2018 Cooperative Association of Resort Exchangers (C.A.R.E.) Conference. RTX has pledged its support for the leading timeshare organization at its 66th conference as a Sapphire Sponsor. The 66th C.A.R.E. Conference will take place from April 7-10 at the Renaissance Austin Hotel. This year marks a new era for the trade association as its conference format shifts from biannual to annual. RTX has also been named a Patron Sponsor for ARDA World 2018, which takes place from May 6-10 in Las Vegas, Nevada at Caesars Palace. 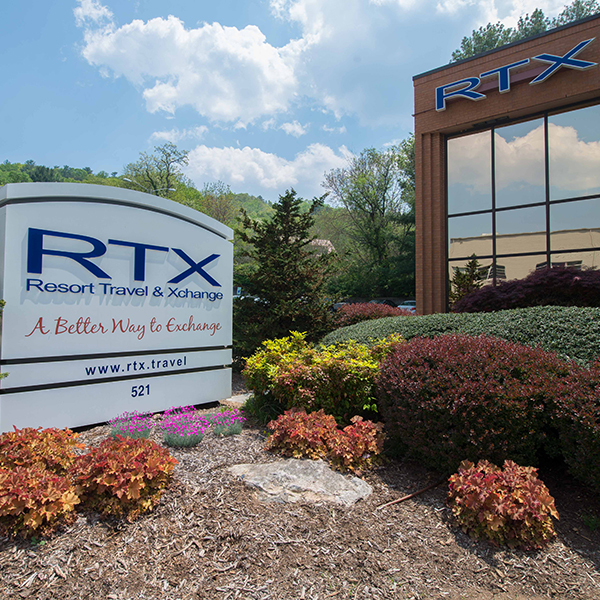 RTX’s Patron Sponsorship includes name recognition at the Resort Managers Meet and Greet event being held on Tuesday, May 8. For 2018, ARDA World will feature best-selling author and business motivational speaker, Robert Stevenson, and an Awards Gala dinner hosted by actor and comedian, Tom Papa. 2018 marks RTX’s 6th year exhibiting at ARDA World and its 2nd time sponsoring the Resort Managers Meet and Greet. RTX will be located at Extended Kiosk #6 and will be educating conference goers about the company’s new enhancements and options that it is offering to the vacation ownership industry. To wrap up the spring conference season, RTX will sponsor the Timeshare Board Members Association (TBMA) Orlando 2018 Conference from May 20-22. “We have yet another busy conference season ahead of us this year, and we are looking forward to connecting with our colleagues and partners throughout the industry and showcasing some of our new offerings and improved services,” said Corina Violette, director of resort partnerships for RTX. Since 2012, RTX has continued to stay ahead in the ever-changing travel exchange industry and has continued to increase brand awareness by attending and sponsoring the biggest timeshare conferences every year. With over 80,000 members worldwide, RTX’s main priority is to put its clients first. Known for low fees on flexible exchanges, up to four years of deposit length, and traveler perks that are second to none, RTX remains passionate about vacation ownership exchange.